David and I found each other at a Halloween dance. I was dressed as Dorothy Gail from Wizard of Oz. David was Captain Riker from Star Trek. He thought I looked really cute and I thought he was so handsome. We have been dating about ten years. I like to call David my man and he calls me his woman. David and I have lots in common. We were my mom’s students. David was in her first class when she started teaching at Bradshaw Mountain High School. He was fourteen years old and I was only eight. He thought I was just a little girl. But when I grew up, he became my boyfriend. We have different hobbies. David likes to play his Play Station. I like to sing and dance or read my Nook. We both like country western, oldies, and Disney music. David and I like to have peace and quiet at times. We like to watch TV. David and I collect cds and movies. David is a Diamondbacks and Luke Bryan fan. Sometimes we listen to music together or go to movies. 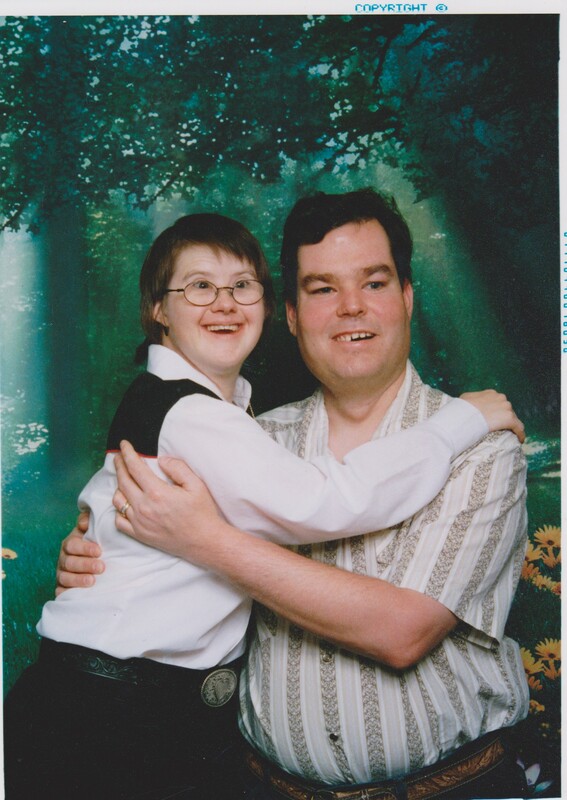 We like to go to the special needs dances every month. David and I like to kiss. We are planning to get married. David and I will have our own house–It might be the house I own already or a different house. We will do our housework together. I’m the one who will do the cooking. David will set the table and help with the dishes. I will help David pay bills, take his pills and handle his money. I’m going to retire from Costco when we get married. David already calls my dad–Dad. My dad likes that. We will go for walks and shop for food at Walmart or Albertsons. I’m writing my own book series called snap singers. It is about kids with special needs who like to sing together and play in a band. Someday I hope my books will be published so everyone can read them. Previous PostNews from SpikeNext PostI Write the Stories–Jesus Adds the Message. That’s so awesome. I love my niece and her fiancé David. I’m looking forward to visiting them in their home together.